One of the most frequent questions I get is how in the world I survive on 650 calories a day. This is NOT an HCG diet. Read the Dynamite 180 protocol! Dynamite 180 is more lenient than most I’ve seen that only allow 500 calories a day. That, my friends, is ridiculously low and at starvation level which ultimately will make your body hold onto weight. I salt the egg and look forward to this meal every day. If I get hungry mid-morning, I eat an apple, otherwise I eat my apple with lunch. Sit tight and I’ll show you my favorite “condiments and seasonings” in a sec! 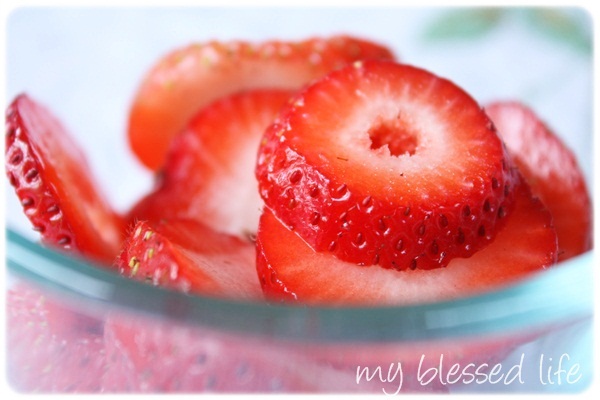 I love to have a handful of strawberries, but I could also eat another apple, plum, orange, pear etc. Bananas aren’t on the food list and peaches are limited to four each week. 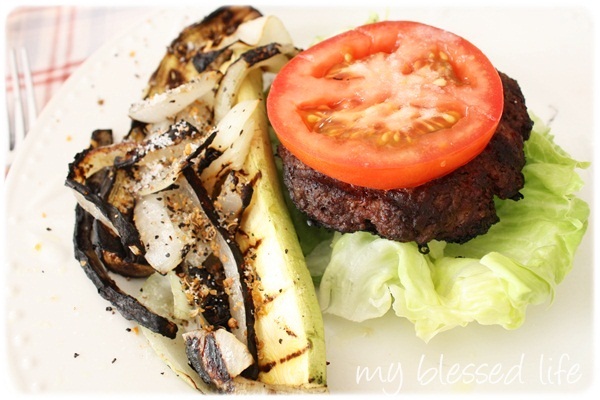 I love using unrefined sea salt and Grill Mates Spicy Montreal Steak on meat and cooked veggies. 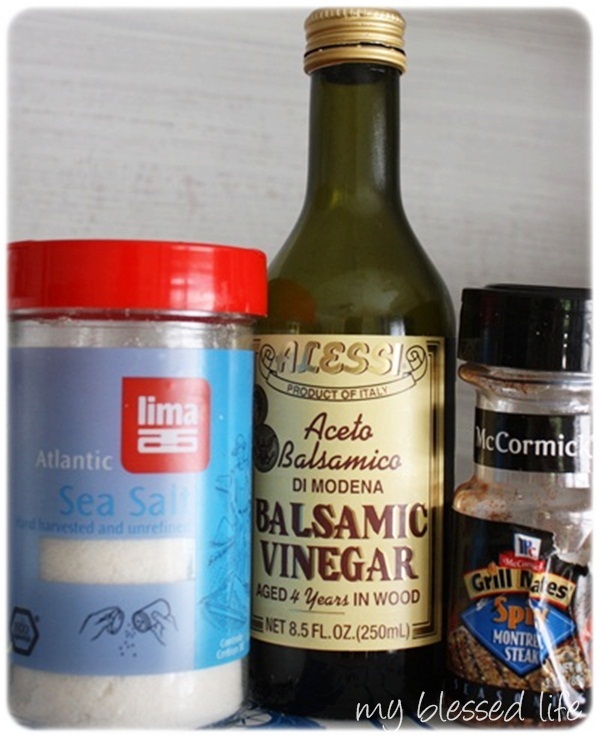 I use Balsamic Vinegar on my salads and fresh veggies. Yum! 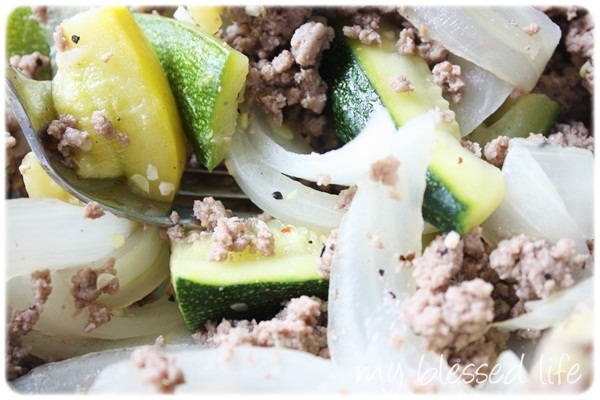 One of my favorite meals is pan-steamed yellow squash, zucchini and onion with lean ground beef. I cook them in separate pans with salt and Grill Mates, measure a cup of veggies, weigh 5 oz. of meat, then combine them. I eat this with a handful of lettuce for a salad. I hope that this explained how it’s possible to survive on 650 calories a day. 🙂 It’s workin for me! Leave any questions you have in the comments and I’ll answer them in my faq post! I think your results are amazing! I have been on a bit of a diet since the end of February and the weight is coming off sloooowly (I’ve lost about 15 pounds so far) but then again my diet is not as restricted as yours is. Mostly all I am doing is trying to cut down on sugar and desserts, drink more water, and eat smaller portions. And a lot of exercise. But I am already thinking about, what happens when I reach my “goal”? How do I keep it off? Do I have to have “no desserts” for the rest of my life? And with your 650 calorie diet, how in the world would you keep the pounds from just coming right back when you are done? Yes. Question? I am on my second bottle of 180 drops. On this bottle I am so so sick every time I take the drops and my stomach is burning. Could the bottle be bad? It is from the first formula. I have NO idea. I would definitely see my naturopath and/or call Dynamite to see what the issue could be. Good for you girl. I personally could NOT do it… but that just means more power to you. I admire your strength, your perseverance, your passion and your dedication. You are an inspiration. I am so happy I read your blog today! I did the HCG diet a couple of months ago. I only lost 18lbs. because I cheated (emotional eater here). But overall, I was happy with my loss. I’ve gained 4lbs. back and just got my new drops in today (they are the homeopathic kind) and was going to do another round. My prior plan was the 500 calorie diet. Even though I never felt like I was starving, I would love to try the 180 plan as it might keep me from cheating. How does it differ? I do notice I can eat something for breakfast, whereas before I could just have coffee. Also, I notice I take these drops 3x a day, 15 mins. before eating, as opposed to 2x a day, 30 mins. before eating as before. I would appreciate your thoughts! I will be loading tomorrow and Thursday and will start the eating plan on Friday. Thanks! @Barbie, Oh girl! Yay for weight loss!! The Dynamite 180 diet is homeopathic too. 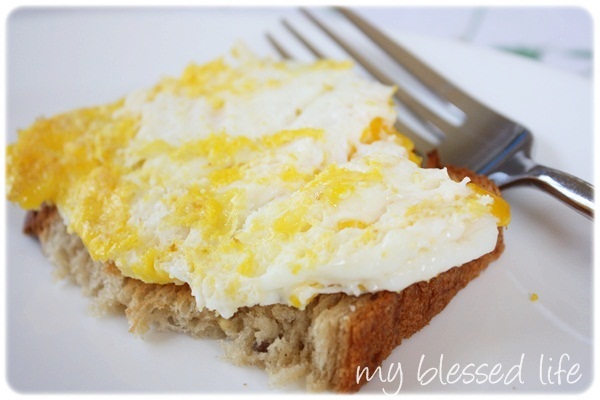 Yes, please eat an egg and 1/2 piece of toast for breakfast! 🙂 Did you see the link to the Dynamite 180 PDF? http://healthyhabitwyo.com/blog/wp-content/uploads/2011/03/180-protocol-newest-version4.pdf The eating plan/food lists are there. 🙂 Keep me posted on your progress!!! 1, how expensive is something like this? 2, how do you work around husband & kid eating totally different from you? It seems like it would add a lot of work to prepare several different meals every day. 1. The drops are $50 and they last for about 20 days. I’m on my 3rd bottle and I think this should be my last one! For $150, I couldn’t be more thankful for the results. It’s much less expensive than Medifast and the like. 2. It is SO easy to eat on this diet. My family loves the food that I make and I cook for all of us. It adds very little work. The only time I do anything “special” is when we go out to eat or to someone else’s house for dinner. The chiropractor I work for has a monitored HCG program and our patients are getting wonderful results. They too say the program is easy to stick to and you don’t feel hungry. You look fabulous….you’ll be in a bikini in no time!!!! @KIMBERLY S, Thanks Kimberly! 🙂 I’m thrilled, but I don’t think you’ll find this fair-skinned, shade-lovin’ gal in a bikini! LOL! Jennie @ Studio1621´s last blog post ..Happy Memorial Day! Do a Google search on Celtic Sea Salt. You’ll discover that it has tons of benefits including *lowering blood pressure* – gotta love that. It’s so good for you as opposed to chemically refined table salt. I am curious about the hcg diet. Are you taking the drops, or the injections? I have read that the drops are not as effective as the shots. Whoa, I did NOT realize you were only eating 650 calories a day! You have the focus and willpower of… um, I’ve got nothing. 🙂 haha. I am so impressed. I feel like I would be super hungry. But you are looking fab and that has to be great motivation to keep it up. Good job Myra! @Julie S., HAHA! Seriously, I’m always full, never hungry and never have gotten the shakes. I was a bit hungry the first two days on the eating plan, but never since. 🙂 Thanks for your kind words! I’ve always heard that diets usually don’t work because it has to be a lifestyle change. What happens when you go off the diet and are you worried you’ll gain anything back? Also what do you do about excersise? I still have a lot of my baby weight (my daughter’s already a toddler :O ) and I’ve always been hesitant to diet. I’d love to hear more of your advice and way to go on losing this much weight so far! As a nurse of 13 years, I have to let you know the devastating effects I have seen from this diet! It is a horrible thing to do to your body! It is never a good idea to mess with hormones ( which is what HCG is), and then to starve your body on 650 calories a day. I know your seeing dramatic changes now (who wouldn’t lose weight on 650 calories a day? ), but you are messing with your electrolytes, glucose and insulin balance and so many other things! I recently wad part of the care for a beautiful woman in her 30’s, with children, who is now in a coma because she was “trying to lose that baby fat”. Your better off losing weight the old fashioned way: portion and sugar control and exercise. Quick fixes are never a good idea in the long run! @Amber, I am glad you said something Amber. I have seen Myra’s posts on this diet and have wanted to say something each time. I am a nurse practitioner and have done extensive research on this diet as I am asked about it frequently. Under no circumstances would I ever recommend this diet. Quite frankly, I am appalled a physician and chiropractor are endorsing it. First of all, there is no long term research on the effects of injecting/injesting HCG. Could this potentially affect fertility, lab values, etc? We don’t know but an educated person would say it will and I would agree. Second of all, why the HCG anyways? A 650 calorie a day diet will make you lose weight irregardless of the HCG and at least you are eliminating the HCG risk. However, I would still not recommend a 650 calorie a day diet. As Amber states you are going to severly damage electrolytes, insulin, etc. One part of the diet I’ve seen states “take a multivitamin as this diet will probably not sufficiently meet nutritional needs.” Why would any educated professional healthcare provider endorse or recommend a diet that does not meet your basic nutritional needs? I can understand the desire to lose weight and even the appeal of this diet. It provides quick results. However, we don’t know the long term effects, realistically a person cannot survive on 650 calories in the long term or take the HCG drops safely long term. Eventually you will have to eat more and the weight will come back. If you want to lose weight, stick to a 1200-1400 calorie per day diet with low sugar, low carbs, high protein (but everything in moderation is okay!) exercise 30 minutes 5 times a week, and get plenty of sleep. You won’t lose 15 pounds in 2 weeks but the weight will come off and you’ll be able to maintain it. I have to agree with Amber and very much worry for your health each time you post about your weight loss. It’s also disheartening to see you say “it’s very scientific” as a major criticism of the diet is the lack of research and science. It is also promoted by a person with a heavy criminal past. I can also say as a healthcare professional we are often approached to sell the HCG drops and get people on this diet as a money making scheme for our offices. I would be hesitant to trust any healthcare provider that sells a specific brand or product. If your provider tells you to take a vitamin, great, but if they specifically want you to take the one they sell in the lobby, it’s an issue! Sorry to get on my soap box but I am truly concerned about this diet and about you. It’s also concerning to me so many people are seeing you do it and are trying this, probably without researching it. @Mary, Thank you for your concern Mary! The diet that I’m on is new and different from HCG diets. Here is the protocol link in case you missed it earlier: http://healthyhabitwyo.com/blog/wp-content/uploads/2011/03/180-protocol-newest-version4.pdf Have a fabulous evening! @Myra, Thanks for the reply Myra. I certainly don’t mean to criticize you or your choices. They are, after all, your choices. I just wanted you to be aware that perhaps the diet is not as scientifically sound or safe as you make it out to be. I realize it’s different from the original HCG diet (I had read the protocol before posting) but it’s still along the same lines and my sentiments remain the same. It says right in the protocol that the main component is HCG. Yes, it’s different. To me, it’s a fancy HCG diet. It has been changed – increased calories, taking the drops at different times, added supplements to the drops. But the main ingredient is still HCG. As a health care provider, I still would not endorse it and would caution all my patients against it. As you point out, it’s a new diet, so the long term effects are truly not know, even less so and less studied than the original diet. There are much healthier ways to lose weight. I don’t plan to comment again. Just wanted to express my opinion (as an NP who specializes in holistic healthcare I couldn’t not say something) as each time you post about it I just shudder and the comments scare me. I love your blog and I know you are a well versed and educated woman. I know you’ve made an informed decision, just wanted to express what I know about it. @Amber, Thank you for your concern Amber! 🙂 The diet that I’m on is new and different from HCG diets. Here is the protocol link in case you missed it earlier: http://healthyhabitwyo.com/blog/wp-content/uploads/2011/03/180-protocol-newest-version4.pdf Have a fabulous evening! Thank you so much, Amber and Mary, for giving your opinions. I tried this 180 product and had really severe panic attacks, many times a day. I have been confused as to the reasons I experienced such horrific anxiety, and reading your posts gives me reassurance and clarity. Thank you so much! I’m never trying 180 again!!!! the human hormone hCG, which stands for human chorionic gonadotropin. Julie, thank you for your comment. Just to clarify…yes, the homeopathic has hCG in it. As I’m sure you are aware, homeopathics are extremely, extremely diluted, therefore this “hCG” diet can not be compared to typical run of the mill hCG diets. I am 100% for educated choices and it looks like Myra has weighed (no pun intended) pros and cons of her choice! ps- You looked great in your last post about this weight-loss plan! I see that you can have cereal also in the morning. Are there any limits besides 110 calories with milk? Great thanks!! I just started a few days ago and I have lost 6 pounds!!! Yay!! If it is not too much trouble I would love it if you could give me some meal ideas and veggie ideas. ah, another diet. it looks like your having an hcg diet but without the hcg drops or injection. swift´s last blog post ..-HOW TO MAKE PERSONALIZED WEDDING INVITATION CARDS? Wow you really got good results their, but how I wish I can have fruits when I am hungry. I always have this hyper acidity when I eat fruit as a snack. I ate it after meal. I like the way you prepare your food it’s less oil. I am on a veggie diet right now and ate crackers in between meals. Thanks for sharing the recipes, they look yummy and healthy to me. 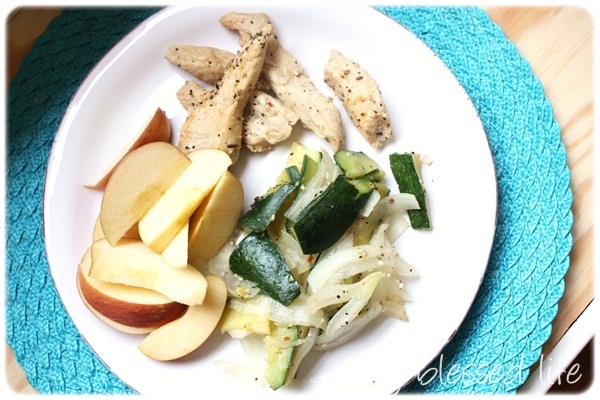 I am currently on diet and are looking for some low fat and low carb recipes. I did pick up some great idea here to be included in my 17 day diet daily meal. Hi there, I enjoy reading about your success and excitement. I am on day 6 of Hcg and I don’t eat breakfast, just like it says. I make it until noon and ravenously eat my chicken and whatever else I’ve packed. I just discovered this Dynamite 180 and am wondering if you think it would be ok if I started on that diet plan instead. I made myself some scrambled egg whites and a tiny serving of bread like it says. I am thoroughly enjoying it!! What do you think? I did the drops from prohcgdiet.com and lost 16 pdunos on the diet in 24 days. Its now been 3 months since I did this diet and and I have not gained a pound since I went off of it. I have tried so many diets and this is a diet that I can really say was fun. Its so great to wake up every morning and see how much weight you have lost. My and my mom and sister all took the drops from Pro Hcg Diet which had good instructions and a great menu book too. Some girls from the office did the injections and lost about the same as I did so unless your into pain, get drops!Good Luck! But where do you buy the drops?? Melissa from the Blue House´s last blog post ..Sixteen. Weight loss is possible without any adverse side affects, but you do need to follow the protocol, if you cheat you are only cheating yourself out of a new body and a totally revived hypothalemus that resets and does away with the original cravings for the wrong foods. Since this was introduced I have personally seen many people achieve their weight goals, NO ADVERSE SIDE AFFECTS ! Not one report of any problems, and Dynamite has the honesty and integrity to notify any and all independant distributors if a problem had arisen, should that have happened THE PRODUCT WOULD HAVE BEEN RECALLED IMMEDIATELY! That is the difference between this company and our regulated FDA which has OK’d all kinds of chemicals to be placed in our bodies only to be called off the shelves due to the adverse effects and yes, DEATHS! Sorry, but I cannot stand by and see people purposefully try to bring something down they truely have not researched! 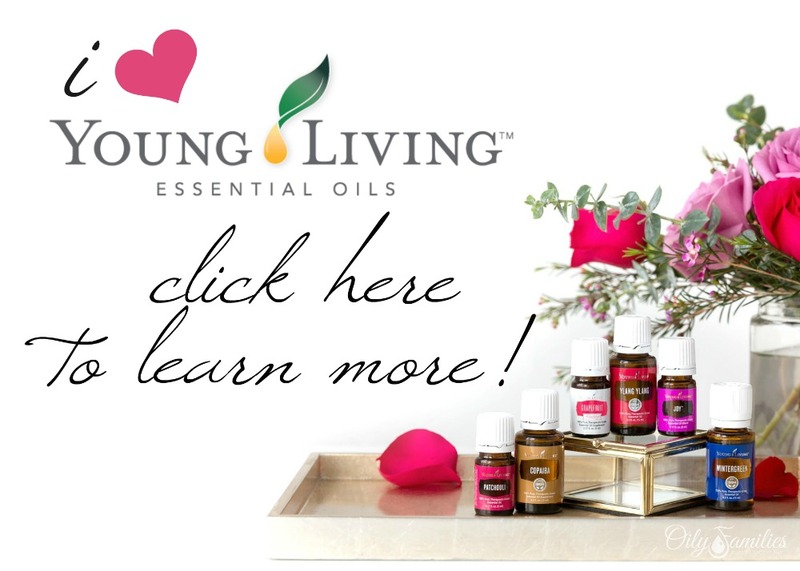 Be sure you check to see if Myra is a distributor! I just started this yesterday and lost 2.2 lbs the first day and can’t wait to weigh tomorrow. It was hard to load because I had already started eating much better and lost 14lbs just from that and cutting pop out a few months ago but I did my best. I am taking pharmanex vitamins and support supplements and they make me feel great. I have not been hungry and if I get hungry I drink lots of water and it goes away. Thank you for posting all of these pictures and ideas. I would like to follow your progress and share ideas. This is the best thing that has happened to me! Day 2 down 2.4lbs and feel great! Can’t wait to hear from you and see more of your tips and meal samples. I am curious if you still use this product. I have looked on the website and can only find testimonials for the year 2011. I am just a bit skeptical because there isn’t any recent feedback. Can you shed any light on this? I am super excited to try 180, but I want to do my homework first. Can you do the diet without the drops? Do you think you could have the same results? I just don’t know if I can afford that? Please tell me your thoughts. Wow! Congrats on your successes! What if you are allergic to eggs and egg substitutes? What would breakfast look like? I’m also allergic to tree nuts. I’m not sure, since I haven’t had to deal with allergies like that. Probably other good fats like avocados? Hi Myra, Do you use anything else with this diet like the Elixer? Thanks for the great Dynamite 180 tips. I really enjoyed your meal plan. Keep up the good work. Oops… I meant to give you a link to my website. Please check it out: http://dynamite180.com/. how much weight have you lost at this point and how long have you done it? i am really needing to lose weight right now i just couldnt live on such a small amount of food. I have been on the drops for 2 weeks now, and have lost 15 pounds so far! I have a few questions I hope you may be able to answer. I have 80 pounds to lose and I want to keep doing the drops until I reach my goal: Should I continue non stop on it, or can I take a break? And, if I do, how long should I wait to start again. Do I do the 2 loading days again? I was reading up in it, and I found that you can take a six week break and then start again as if you were starting for the first time. I think I’ll just keep trucking along until I get to where I am going! Will these drops make my blood pressure increase?! ps, just a little bit more of myself. 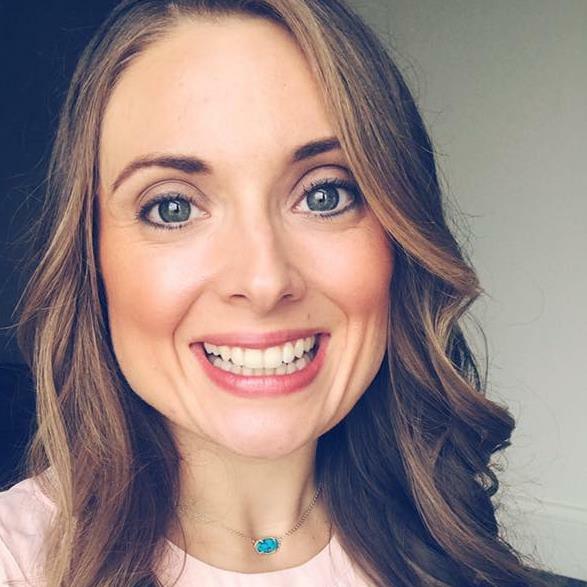 I struggled with binge eating disorder (or so I thought), permanent constipation, lethargy, brain fog, concentration issues, sinus, headaches and depression. I never connected the dots that I was sensitive to gluten. After cutting out gluten, all of a sudden this terrible hunger went away, the fog lifted, headaches and sinus gone, the depression disspated and for the first time I can control the amount of calories i consume. I highly recommend the book Wheat Belly by Dr William Davis, download it to your kindle, you will be super amazed. Hungry all the time? Yip, wheat is addictive. When you cut this out, a whole new world opens up. Where previously I could never stop eating and was always hungry, all of a sudden, this is no longer an issue. The world is beautiful again. I can’t cheat as I go through a gluten storm that lasts for four days, but as I’m healing and I see the difference it makes, I don’t ever want to consume gluten again by default. It’s not a diet, it’s a life style and I love it. E increase in energy. It has been 3 days on the drops. Please help.